Mr. P. Barron, a European merchant and an enthusiastic hunter from Rosa, near Shahjahanpur, founded "NAINITAL" in the year 1841. Mr. P. Barron was the first European who took great fancy to this land. Moved by the beauty of the sparkling lake he wrote: "It is by far the best site I have witnessed in the course of a 1,500 miles trek in the Himalayas." 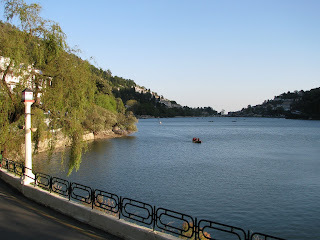 It is very less is known about the history of Nainital. This region was called Khasdesh in ancient times and Khasis ruled this region before Christ was born. The name "NAINI" is derived from a temple to the goddess 'Naini Devi" built on the upper edge of the lake and was destroyed by the landslip of 1880. It was subsequently replaced by a modern structure. The word "Naini" means 'Eyes' and 'Tal' means 'Lake'. 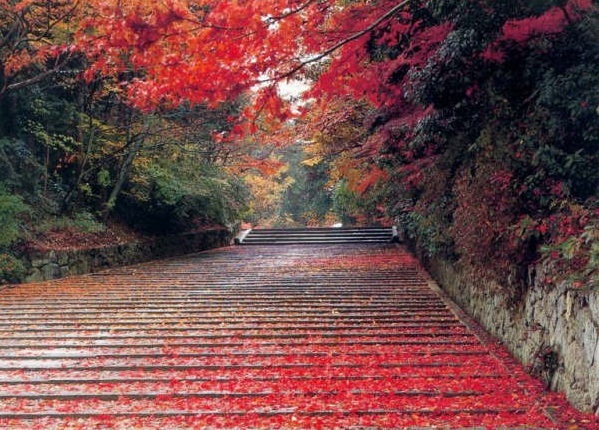 Nainital is 34 Km from Kathgodam, the gateway of Kumaon and the terminus of North Eastern Railway. It is 304 km from Delhi, capital of India, and 388 km from Lucknow.According to the District Gazetteer Nainital is situated at 29 degree 24' north latitude and 79 degree 28' east longitude, in a valley of the Gagar range running east and west, which is bounded on the north by the peak of China, which rises to a height of 8.568 feet, continued by the Alma peak (presently known as Snow-View) and the Sher-Ka-Danda to the eastern extremity, where the ridge descends almost to the level of the lake. This attribute lake is said to be one of the emerald green eyes of Shiva's wife, Sati (naina is Sanskrit for eye). When Sati's father failed to invite Shiva to a family sacrifice, she burnt herself to death in protest. Shiva gathered the charred remains in his arms and proceeded to engage in a cosmic dance, which threatened to destroy the world. To terminate the dance, Vishnu chopped up the body into pieces, and the remains were scattered across India. The modern Naina Devi Temple at the northern end of the lake is built over the precise spot where the eye is believed to have failen. At the top, a close up view of Naina Devi (7816m), which was, as the old brass plate here tells you, 'the highest mountain in the British empire'. Naina Devi was India's highest peak until Sikkim (and thus Kanchenjunga) was absorbed into the country. There's a small marble temple dedicated to Dev Mundi housing images of Durga, Shiva, Sita, Rama, Lakshmana and Hanuman. From Snow View you can walk west to another point and then continue on to the main road to Kilbury. From here you could continue up to China Peak or head down the road to Sukhatal, passing great views of the lake in route. A walk up to Snow View can take in the tiny Gadhan Kunkyop Ling Gompa of the Gelukpa order (of which the Dalai Lama is the spiritual leader). Take the road uphill from the hotel city heart, from where a path branches off towards the gompa (the colorful prayers flags are visible from the road). The gompa serves Nainital's small (and mostly itinerant) Tibetan community. Most of the Tibetan families travel to Nainital in the summer season to sell sweaters and shawls, and in winter descends to the plains. Naina Peak known as the China peak this peak is the highest point in Nainital. From here Nainital appears as a bowl. You can walk or take ponies to the peak. From this peak you can capture the exciting views of Nainital. Naina peak also gives a good view of the Camelback peak. There are no hotel or restaurant on the top so carry food and water along with you. In the foothills of the Himalayas, The Old Bungalow- 1830, and The Writers' Bungalow -1860, are located in the fruit basket of the Kumaon region. These heritage structures once housed the British and Indian officers as well as their wives who travelled on horseback and palanquins. 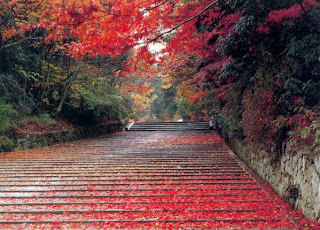 Many writers and thinkers have been drawn to the beauty of Ramgarh: Sri Aurobindo and Narain Swami established ashrams, Rabindranath Tagore wrote some of his major work-even contemplating founding Shantiniketan here; Mahadevi Verma made it her home and some of India's leading industrial families continue to have sprawling orchards. From May to September the orchards by the Writers' and Old Bungalows hang with Apricots, Plums, Peaches, Pears and Apples. 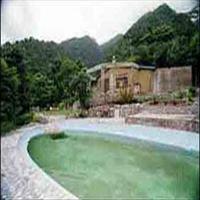 Shervani Hilltop at Nainital is the four star boutique Resort retaining the old world charm which has been beautifully designed and makes for a complete holiday at this historical hill station. Situated 6 hours drive north of Delhi. Palace Belvedere, Nainital (Uttaranchal, India) was the summer palace of the Awagarh Royal Family and now a WelcomHeritage Hotel. The hotel offers a panoramic view of the famous Naini Lake. 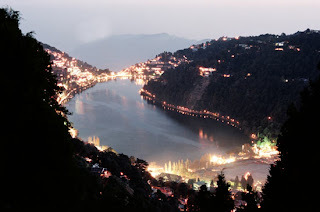 The Manu Maharani Nainital is located 62 kms from Pantnagar Airport, 32 kms from Kathgodam Railway Station, and 1 km. from Nainital Bus Stand. The Manu Maharani Nainital is hotel is airconditioning & centrally heated, with a total of 67 rooms. This is the only place in India, where we do the night safari in open jeeps with searchlights. Betalghat, a sleepy little Village on the banks of Kosi river that abounds in Mahseer on the edge of the jungles where Jim Corbett found his calling. This beautiful Safari Lodge, on the banks of Kosi River has been created like a forest dak bungalow from the bygone era. 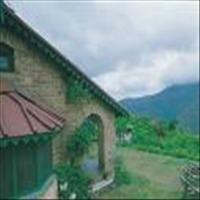 With lovely cottages having all modern amenities, this is the place for “that- perfect- off- beat” holiday.